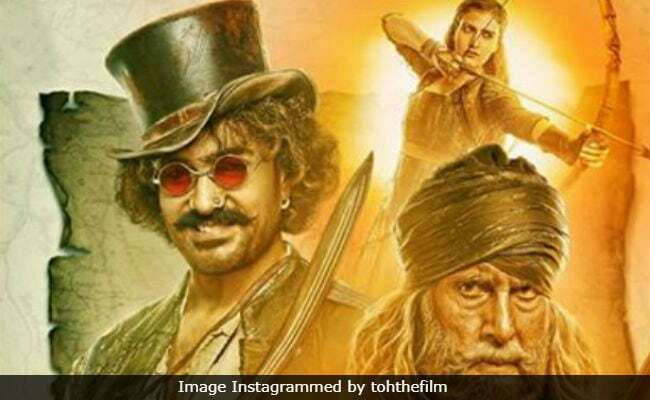 Bollywood's answer to Pirates of the Caribbean, the swashbuckling, star-studded Thugs of Hindostan sails into cinemas on Thursday, battling British colonisers on a quest for loot and box office records. With his witty one-liners, maverick persona and tousled hair, Khan's character bears a strong resemblance to Johnny Depp's lovable pirate rogue Jack Sparrow, and the movie has a strong whiff of the Pirates series. Directed by Vijay Krishna Acharya, Thugs also stars actresses Katrina Kaif and Fatima Sana Shaikh and all the cast underwent rigorous action training to dodge bullets, leap off burning ships in preparation for their battles with British soldiers.